The unique advantage of the United Nations, born in the end of the Second World War, is that all countries of the world for the first time in human history received the opportunity to participate in its affairs on an equal rights, with full respect for their sovereignty and national dignity, to apply to international organizations operating under the auspices of it with their ideas, concerns and needs. The real roots of the United Nations are found in the 19th century in such diplomatic entity as “Concert of Europe” – the first attempt to merge the states with the aim of the achievement of political objectives, primarily by diplomatic rather than military means. “Concert of Europe” made a significant contribution to the formation of concept of international law, including the rules of warfare, international arbitration, and the question of disarmament (Amrith & Glenda, 2008). But only after the First World War by a multi-purpose organization with a clear focus on peace, security and international cooperation – the League of Nations – was created.Despite the claimed great ideals, the League of Nations, similar to the previous inter-state alliances, appeared as the result of European political thought and was largely focused on Europe (and the West in general). It reflected the perspective of the colonial powers and their allies development, largely leaving in the background the interests of the vast land and needy populations in Africa, Asia, the Middle East and Latin America, most of which were still under colonial rule (Bertrand, 2008). Eventually, the League of Nations appeared unable to prevent the outbreak of the Second World War and in 1946 formally ceased to exist. During the war, the major Allied powers – the US, Britain, the Soviet Union, France and China – have taken steps towards the establishment of a new international organization, based on a platform of opposition to powers of “axis” – Germany, Italy and Japan. The Atlantic Charter, signed on August 14, 1941 by the US President Franklin D. Roosevelt and British Prime Minister Winston Churchill, was the first sign of the intentions of the United Kingdom and the United States to set up immediately after the restoration of peace a new international organization. Moscow and Tehran conference in October and December 1943 laid the foundations of this new organization, and the conference in Washington at the villa Dumbarton Oaks (August 21 – October 7, 1944) was the first meeting specifically organized to discuss its structure (Iriye, 2002). Officially the UN was established on the Conference on International Organization, held April 25 – June 26, 1945 in San Francisco. 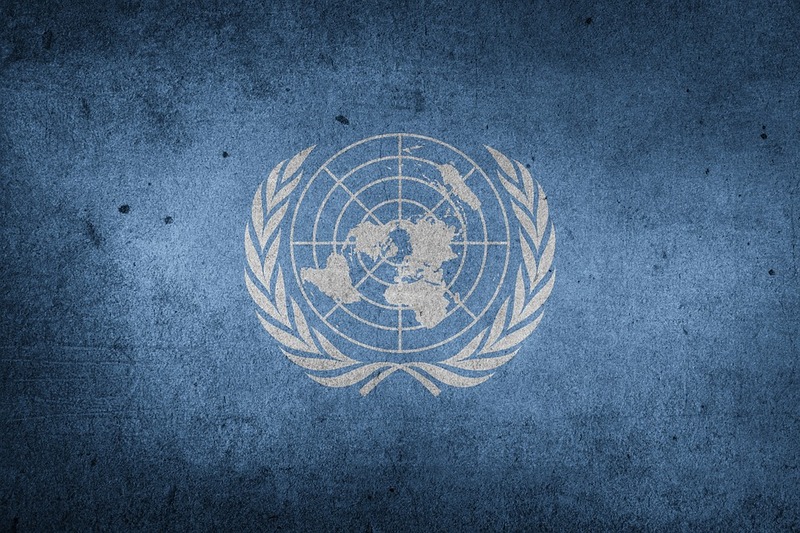 The emergence of the United Nations was due to a number of objective factors of military-strategic, political and economic development of the human society at the end of the second millennium. Creation of the United Nations was the embodiment of eternal dream of mankind of such arrangement and the organization of an international community that would save humanity from the endless series of wars and would ensure peaceful living conditions of the people, their gradual progress towards economic and social progress, prosperity and development, free from the fear of the future. The impact of the UN on contemporary international relations and the balance is multifaceted. It is determined by the following factors: the UN is the most representative forum for discussion between the states on topical issues of international development; the United Nations Charter is the foundation of contemporary international law, a sort of generally recognized code of conduct for states and their relationships; the UN itself has become an important mechanism for international standard-setting and holds a special place among other organizations – sources of international law. At the initiative of the UN are signed hundreds of international conventions and treaties regulating the situation in various spheres of public life. Amrith, Sunil & Glenda Sluga (2008). New Histories of the United Nations. Journal of World History, 19 (3), 251–274. Iriye, Akira (2002). Global Community. The Role of International Organizations in the Making of the Contemporary World. Berkeley, CA: University of California Press. The sample of politics essay that you have opportunity to read above is a good example of academic essay and is placed here for your information. Your teacher may consider it as plagiarism, if you decide to include this text into your own paper. If it’s impossible for you to write a good politics essay, order it from BuyEssay! Our company has a profound experience in writing academic papers of any kind for hundreds of students from all over the world. Leave all your doubts, get an academic success without a pain with a prompt help of professional writers. Place the order with us right now!